What is the idea behind SwindonWeb? Who writes the articles and takes the photographs? Could I contribute to it myself? Is SwindonWeb interested in building up relationships with other organisations? How can SwindonWeb benefit my voluntary group, club or charity? How can SwindonWeb benefit my business? Can I download text and/or pictures from SwindonWeb for my own use? How can I contact SwindonWeb? 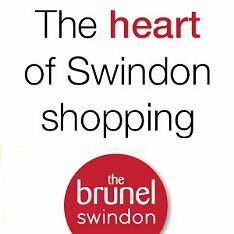 SwindonWeb is an original and unique website covering anything and everything to do with Swindon. It was first created in 1997 with the aim of making it the automatic "first stop" for anyone wanting to know anything about the town. It is a community website, publicising anything that is going on in the town. It provides a service to people within Swindon and the surrounding area and promotes a positive image of the town to outsiders. SwindonWeb is updated every day. SwindonWeb is also an enormous and ever-growing archive of information about the town - the first 'Encyclopaedia of Swindon', striving to entertain and educate our users with features about everything from the Magic Roundabout to Swindon's most famous celebrities. It is already the most comprehensive - but also the liveliest - window on life in Swindon, so much so that SwindonWeb is accompanied by an A5, glossy monthly magazine that highlights what's new on the site - with full details only available online. SwindonWeb is also a valuable 'shop window' for the growing number of Swindon businesses establishing their own websites. Before SwindonWeb, our town was conspicuous by its virtual absence from the World Wide Web. Here was a town with a reputation for attracting high-tech businesses, but one that was poorly served by the exciting world of the Net. Tired of waiting for our home town to catch up, we at SwindonWeb decided it was time we all joined the revolution. Swindon lacked any cohesive presence on the Web. No one had yet produced an overall plan of how the town and its people might be best represented on the fastest growing communications medium in the history of the world. We have very clear ideas about what should be happening and we are doing something about it. We believe that the great communicative potential of the Web could be used for the individual benefit of charities and other voluntary groups and that it should be used more effectively by the community as a whole. That is why we offer help to non-profit-making organisations, even though we have very limited resources. SwindonWeb is a local company managed by local people for local people. It currently employs seven people - all of which live in Swindon. SwindonWeb is NOT part of any official organisation. We do have connections and work closely with various individuals, groups and organisations throughout the town, but SwindonWeb is an independent commercial website. SwindonWeb receives no grant or monetary assistance from any individual, company or organisation. It is NOT a registered charity or specifically a voluntary organisation. SwindonWeb has to support itself financially. We do this by designing and managing websites for commercial or other organisations, by selling banner advertising on the website and by attracting sponsorship. We are very grateful for the support of Arkell's Brewery, who have been the main sponsors of the SwindonWeb site since it was launched in 1997. We are proud to be associated with Swindon's oldest established business and believe they deserve much credit for the foresight in recognising the potential of a new idea. (Perhaps this is a clue to how they have thrived in business for 165 years). Who writes the articles and produces the photographs and graphics? Practically everything you see has been produced by SwindonWeb. Any assistance is always specifically acknowledged on the same page. Could I contribute something myself? Yes! If you have a particular interest in a subject relevant to Swindon and would like to write an article about it, then we would be pleased to offer you free space on SwindonWeb. The site is viewed regularly by a growing number of people in Swindon, and we can help you reach a wide audience. SwindonWeb is a community website. So if you have written an article or completed a project for a charity, club or other non-profit-making organisation, and you would like it published on SwindonWeb for free, then please get in touch. We are always open to suggestions and comments about how we can improve SwindonWeb. Is SwindonWeb interested in building partnerships with other individuals, groups or organisations? Yes. If you have any ideas about how we might build on the idea of SwindonWeb, then we would be very interested to hear about them. SwindonWeb is a community website. We offer free space to community groups, voluntary organisations, clubs, societies and charities etc. If you already produce leaflets or brochures, then we can easily re-publish the details. This helps you reach a wider audience and it helps us provide a better and more comprehensive service to our viewers. SwindonWeb is advertised extensively in Swindon, including extensive advertising on GWRfm. We also distribute thousands of advertising cards in Swindon every week. Our sponsorship and support of major events in Swindon brings yet more positive publicity. SwindonWeb is designed to be the "first stop" for anyone looking for information about Swindon. It therefore follows that the site attracts a larger and more varied range of viewers than your company website might. You can take advantage of this by having your site linked from it. Many companies find it difficult to attract viewers to their websites. One of the problems is that the shear number of websites available means that you can usually only hope to attract viewers who had set out with the intention of finding you in the first place. This can make your website less effective than most other forms of advertising, which usually attract at least some 'impulse trade'. SwindonWeb is the obvious solution. Most people in the UK still use the Web primarily for leisure or educational purposes. That is why they are likely to use SwindonWeb, and if your company website is attached to it, why they are likely to stray onto your website if it is promoted here. Our banner advertisements (which are placed at the top and bottom of almost every page throughout the site) can be used as advertisements and hyper-links to your own website. Each page also offers smaller square advertising spaces in the left-hand menu column. SwindonWeb is advertised extensively in Swindon - you may have heard our adverts on GWRfm featuring only Swindon personalities John Franmcome, David Hempleman-Adams and Jimmy Quinn - and, of course, we hope you've seen our Mini running around Swindon promoting our sites! Everything on SwindonWeb - the text, pictures, maps, graphics, the layout of the pages, all pages and the website as a whole - is protected by copyright. Everything is ©SwindonWeb™ 1997-2010 unless specifically stated otherwise. You may not copy anything without our written permission. If you do want to use something for a specific reason, then please contact us and we will be pleased to consider your request. Yes, we most certainly do! If you need a website designed or already have one and you want it updated, then our team can do just about everything there is. From simple websites to the most dynamic e-commerce platforms, we have been designing sites since 1997 for some of the best known names in Swindon, from Arkell's Brewery to Deacon's Jewellers, English Heritage to Thamesdown Transport. Over 400 in all. Just click on the link below for examples of our work.